The concept of a short story collection is not new. 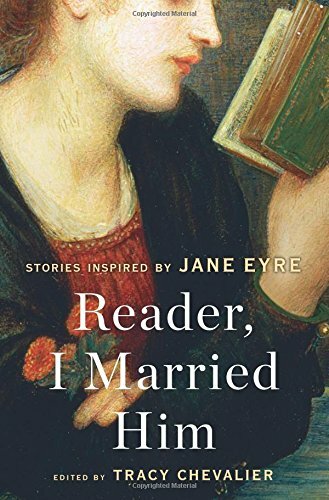 What is new, at least to this reviewer, is the breadth of topics covered by the 21 well-known female authors who contributed to the collection titled, Reader, I Married Him. The variety of voices and themes of these short stories are tied to the quote from Jane Eyre by Charlotte Bronte. Jane Eyre is a favorite of many readers and as such is an excellent jumping off point or conclusion for authors. Tracy Chevalier, also a celebrated author as well as the editor of this collection, sets up the premise in her forward. Each story has its own pace and locale; however, all of them touch on the premise set forth in the book’s title. A wide variety of cultures are woven into the book. Many are indicative of the author’s roots. Most of the authors are English-speaking and based in the UK, Canada and the USA. Also, many of them are professors at well-regarded institutions of higher learning. Reader, I Married Him is not a breezy read to be tucked in with one’s swimsuit and sandals along with sunblock and a floppy hat. Rather, it is meant to be deliciously savored one story at a time. A brisk read may be confusing and cheat the reader out of the quirky and sometimes deeply moving sentiments offered by these masters of their craft. A review copy was provided by HarperCollins Publishers. This book will be released on Tuesday, March 22, 2016. 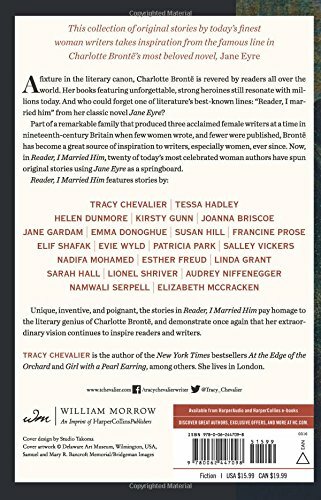 These are the writers who contributed to Reader, I Married Him: Tracy Chevalier, Tessa Hadley, Helen Dunmore, Kirsty Gunn, Joanna Briscoe, Jane Gardam, Emma Donoghue, Susan Hill, Francine Prose, Elif Shafak, Evie Wyld, Patricia Park, Salley Vickers, Nadifa Mohamed, Esther Freud, Linda Grant, Sarah Hall, Lionel Shriver, Audrey Niffenegger, Namwall Serpell, and Elizabeth McCracken.